Wow it’s nice to be able to fit a 500px-wide image into the blog! 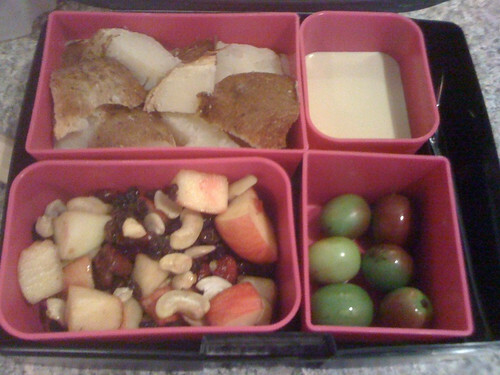 Anyways, today’s bento: potato roasted in a slow cooker, cut into chunks for easier fitting; “I Can’t Believe It’s Not Cheese” dipping sauce from The Uncheez Cookbook which is unfortunately one of its misses, kiwi berries, and apple salad (Honeycrisp, raw cashews, Zante currants, and dried cranberries). 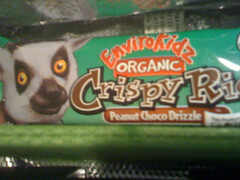 Ick, the cheez sauce was gross. Usually the recipes work. Oh well. Need to make the good Tangy Chedda instead.